This new store is "the first-ever Motorola experiential boutique in the heart of downtown Chicago" and has an impressive amount of Moto Maker customization options on display. Motorola is getting ready for the new holiday season by opening its first experiential boutique in the heart of Chicago. According to the official blog post about this launch, the new Motorola retail venue is not about phones on display that show technical specs, but "a hands-on, interactive environment with dedicated areas that bring to life our marquee products and device features." 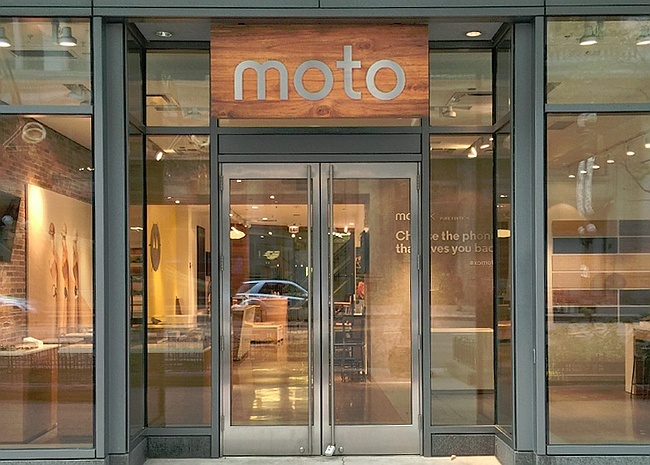 Motorola has chosen Chicago as the location of this new store because it is the company's hometown, but also one of the tech hubs in the US that has been growing fast lately. With the help of this new store, Motorola turns Moto Maker from an online tool into a mini workshop where customers can get their hands on the genuine leather, real wood, as well as the rich color palette that allows them to customize their devices (smartwatches included). The most interesting part of the shop is the Drop Zone, where people can drop the Droid Turbo 2 onto concrete, ceramic, and tile, thus putting the Moto ShatterShiled to the test. The store opens on November 7 while the grand opening celebration is scheduled for November 14.